The farmers market and my gardens make me so very happy. Right now the weather is outstanding for this time of year! I’m honestly sadder than normal this year about the thought of this beautiful bounty of green and colorful goodness being gone soon. I’ve been chopping and freezing and harvesting and storing away a lot of veggie goodness to cook with and get me through the winter. I keep hearing it’s going to be a doozy. Lucky for me, I’ve already paid the driveway plow guy! Awesome veggie harvest. 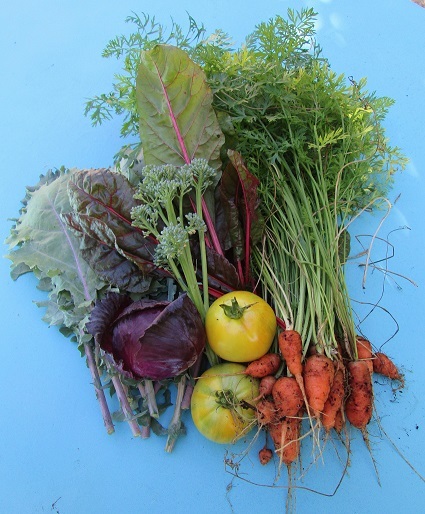 Kale, swiss chard, yellow tomatoes, carrots, and a broccoli sprig. 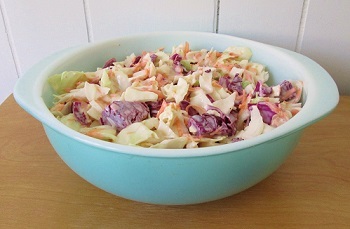 Freshie fresh coleslaw from the market, and my garden. The annual growing of the mini red cabbage always yields a fall batch of awesome. Yesterday evenings garden harvest. 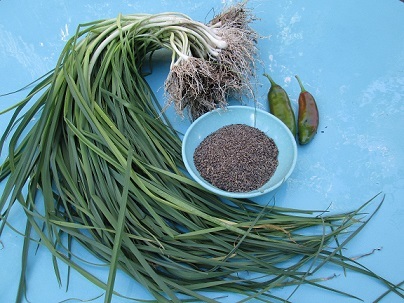 Lots of lovely little leeks, an amazing amount of fennel seed, and a couple peppers. Lots more out there still. 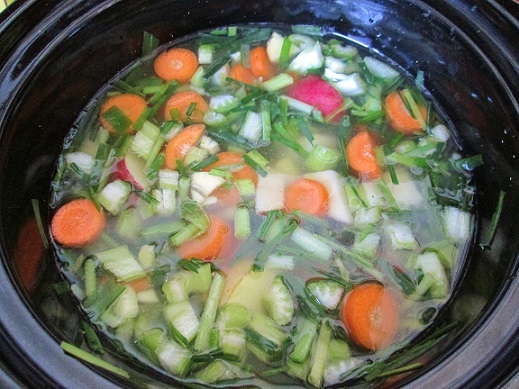 Leek soup ala my garden and the farmers market in the crock pot. 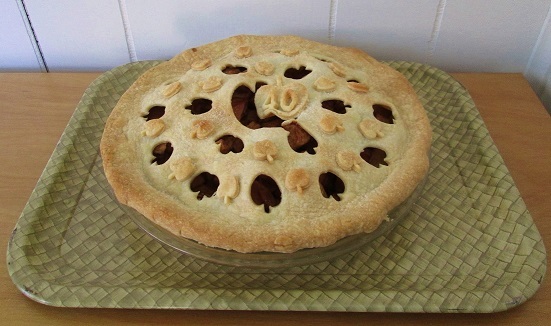 Well, I’ve been planning this one for awhile, well at least the vintage tablecloth part. 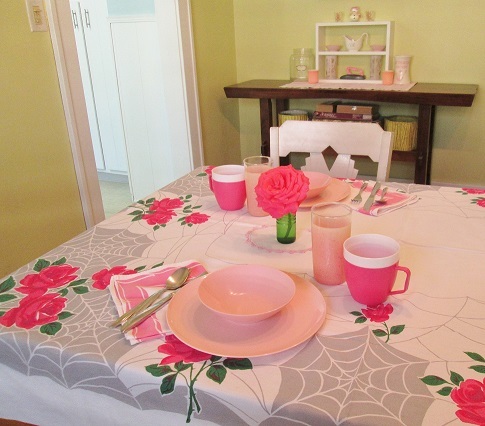 Earlier this summer I found this amazing vintage tablecloth-pink roses and spider webs! Perfect for the month of Halloween. Super cute and slightly creepy all at the same time, yes please, this tablecloth is going into my personal collection for now. Fave items: wonderful vintage tea towel (sidenote-I have a matching green tablecloth) Kitchen Caddy, teeny eeny speckled pink Imperial Ware melmac bowls! 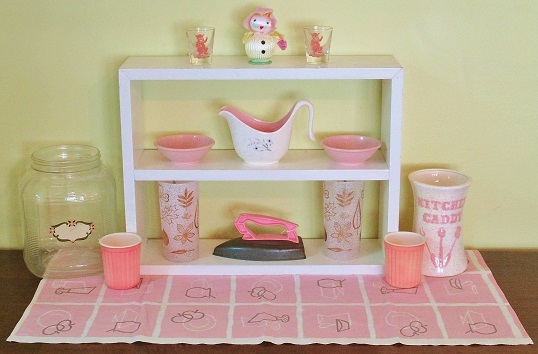 pig shot glasses, Easter chic Japan, pink leaf glasses, play iron, jello cups, and I adore the decal on that glass jar. LOTS of awesome vintage pink! 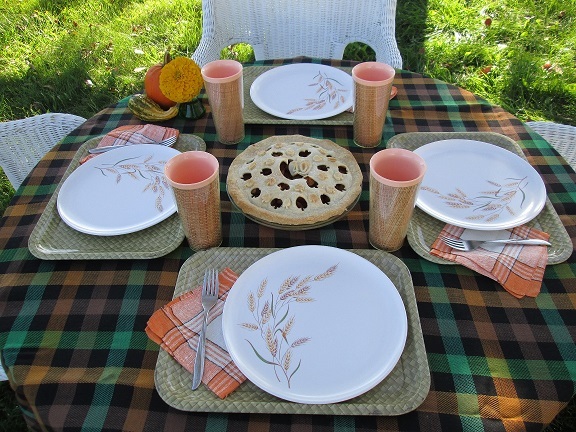 Fave items: Of course, the spider web rose vintage tablecloth! Pink melmac, darling pink napkins, Glamalite glitter pink glasses, adorable tiny doily, and a rose blooming from my garden in OCT! 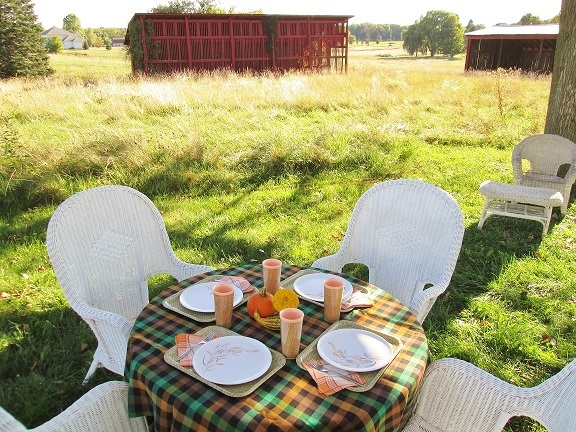 What a table setting indeed!